Few cities in the world can compete with New York as a vacation destination. There are endless things to do and see and each time I leave I vow to return to do the things I have missed out on. Many visitors restrict themselves to Manhattan on a first visit and with one exception I think this is wise. The exception is the free trip on the Staten Island ferry which takes you briefly to the Staten Island Borough. 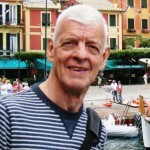 There are the obvious tourist attractions that must be done but then there are fascinating sections of the city that call out for detailed exploration. Some of my favourites are Greenwich Village and SoHo but frankly almost all areas within Manhattan are worth exploring. 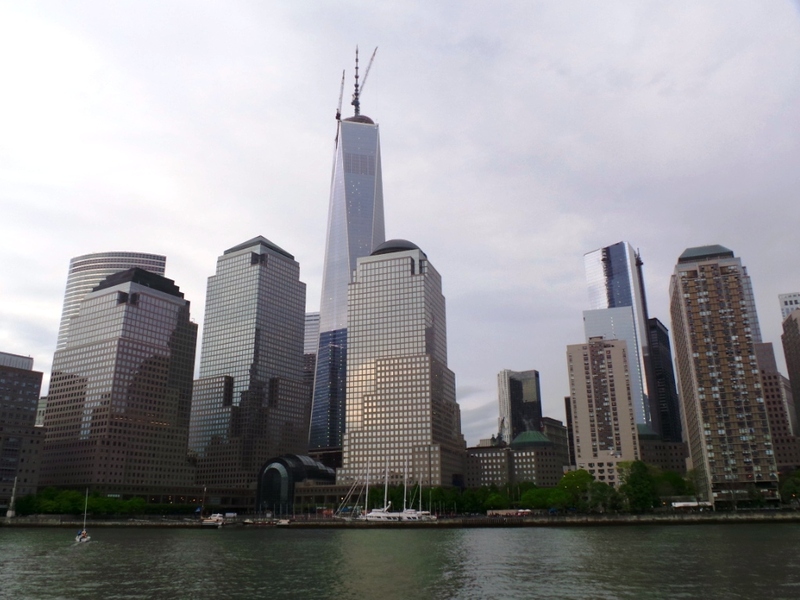 There is no better way to get a good overview of Manhattan than circling the island by boat. The Circle Line is the safest choice for families, couples and singles looking for good information and great photo opportunities. We chose the Harbour Lights Cruise which departs in daylight then returns after dark. Although this only does half the circumnavigation of the island it covers all the main areas of central and southern Manhattan and provides excellent viewing of the Statue Of Liberty, the high-rise skyline, and three of the city’s famous bridges. Our cruise boat was quite full but there was still room to move around and hot and cold beverages, wine, beer, cocktails and food were available on board if you needed sustenance. We were very impressed by the commentary but others seemed to ignore this and talked the whole time. We rated the 2.5 hour cruise as excellent. 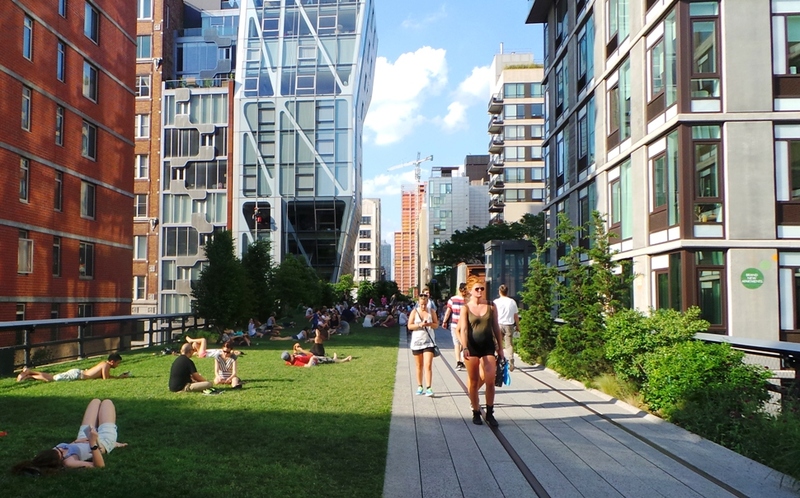 This is an extraordinarily successful linear park developed along a stretch of disused elevated railway in the lower West Side of Manhattan. Construction of the park began in 2006 and so far two of the proposed three sections have been completed and opened. At a few points the park runs through buildings and this provides an opportunity for vendors to sell various products. The concept is great and the result quite spectacular. We went on a Sunday afternoon and the place was bustling. People stroll the winding concrete walkways, sit on smart timber seating to enjoy unexpected views of the city and the Hudson River, inspect the plantings or more than 200 species and the embedded art works, and enjoy ice-creams and snacks from concessionaires. In some place some rails have been left in place as a reminder of its past purpose. Clearly the surrounding area has been rejuvenated by the park development and the wonderful Chelsea Market has become a ‘must-see’ for many visitors. This is New York’s playground and green oasis and if you don’t visit, you miss one of the essential elements of the city. Across its 843 acres there are green meadows, several man-made lakes and ponds, gardens, walking and bridle paths, bridges, performance centres, and classical architecture. There are also a small Wildlife Sanctuary, a large area of natural woods with natural geological formations, a 106-acre reservoir with an encircling running track, and The Conservatory Garden, a quiet, calm formal garden. The park contains a number of specific attractions for adults and children. There is the 1870s carousel, an amphitheatre that hosts Shakespeare in the Park summer festivals, an ice-skating rink, a Discovery Centre, a boathouse, and a zoo and children’s zoo. 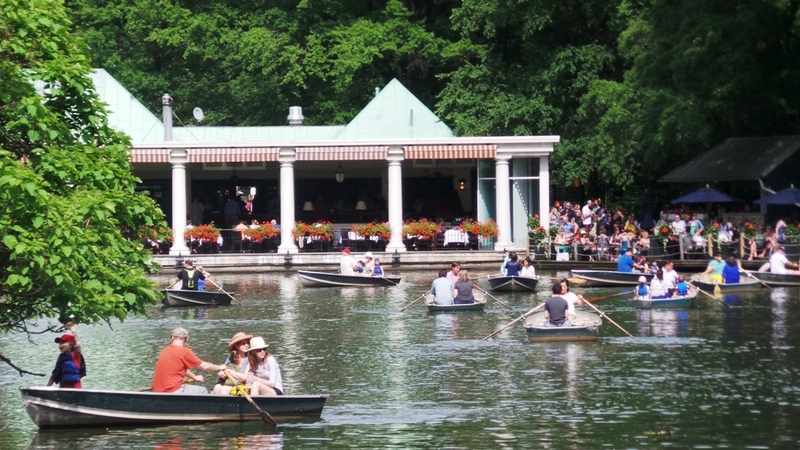 We loved Strawberry Fields, an area that pays tribute to the late Beatle, John Lennon; Bethesda Terrace and its lovely fountain; Shakespeare Garden which has plants and flowers mentioned in the works of the playwright; and the Music Clock. In fact, I think I loved just about everything in this huge expanse of green. This is an institution like no other in the city. The street runs from Washington Square Park in Greenwich Village, through the heart of Midtown, along the eastern side of Central Park, and through Harlem to the Harlem River. For many visitors it is the shopping district between 49th and 57th Streets that has most appeal but for residents the length between 59th Street and 96th Street provides some of the best and most expensive apartments in the country. 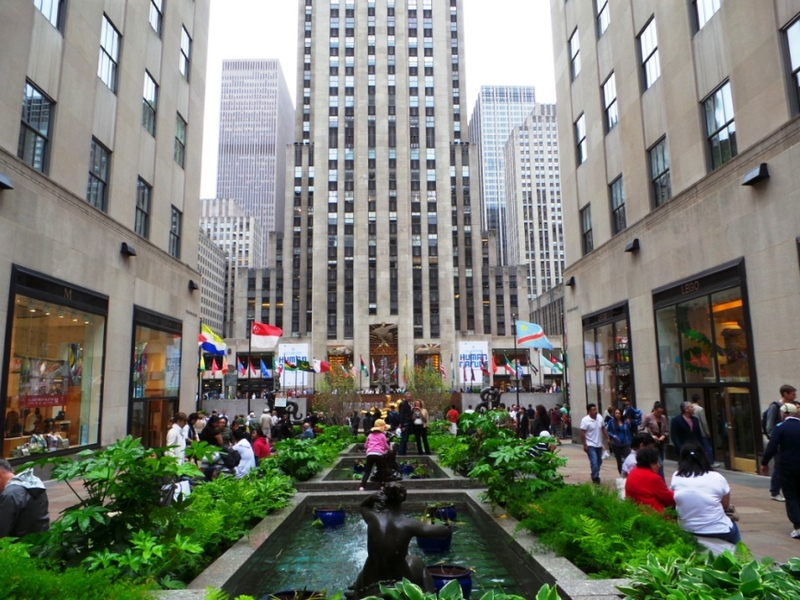 There are five National Historic Landmarks along the Avenue – The Flatiron Building, the Empire State Building, New York Public Library, St Patrick’s Cathedral and Rockefeller Centre. Don’t miss seeing all of these. If you are into shopping there is little doubt you will visit the Saks Fifth Avenue, Barneys and Bergdorf Goodman department stores, and the luxury boutiques operated by Tiffany & Co, Gucci, Prada, Louis Vuitton Armani, Fendi, Cartier, Versace and a whole lot more. The section between 82nd and 105th streets is often called the Museum Mile. There are nine museums along this length including the brilliant Metropolitan Museum of Art, where you can easily spend a whole day, and the spectacular Solomon Guggenheim Museum at 88th Street. If there is one spot in the city that shows why New York gets the moniker ‘the city that never sleeps’, it is Times Square. This is both a specific location and a district. It is known for its many Broadway theatres, cinemas and electronic billboards but there are also many restaurants and shops making it one of the world’s most visited tourist attractions. Good Morning America is broadcast live from the ABC’s Studios, and there are the Planet Hollywood restaurant and Bar, Madame Tussauds Wax Museum, Ripley’s Believe It or Not, and Hard Rock Cafe along with a number of multiplex movie theatres. 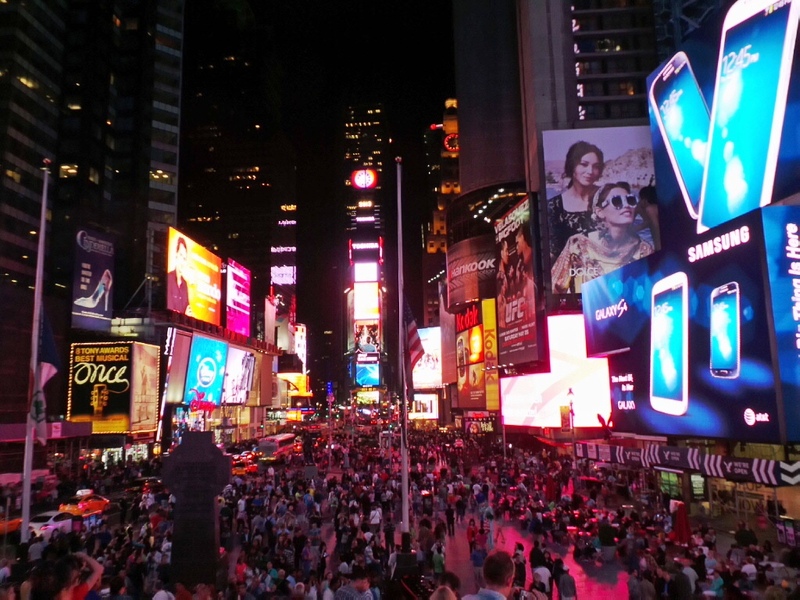 The best time to visit Times Square is after dark when it is crowded with visitors. Take a seat on top of the tiered TKTS discount theatre tickets booth and just watch the surrounding throng. During the day the old Embassy Theatre, which is now the home of the Times Square Visitors Center, is where you can get information about events and Broadway shows and see the small museum that tells the history of Times Square.